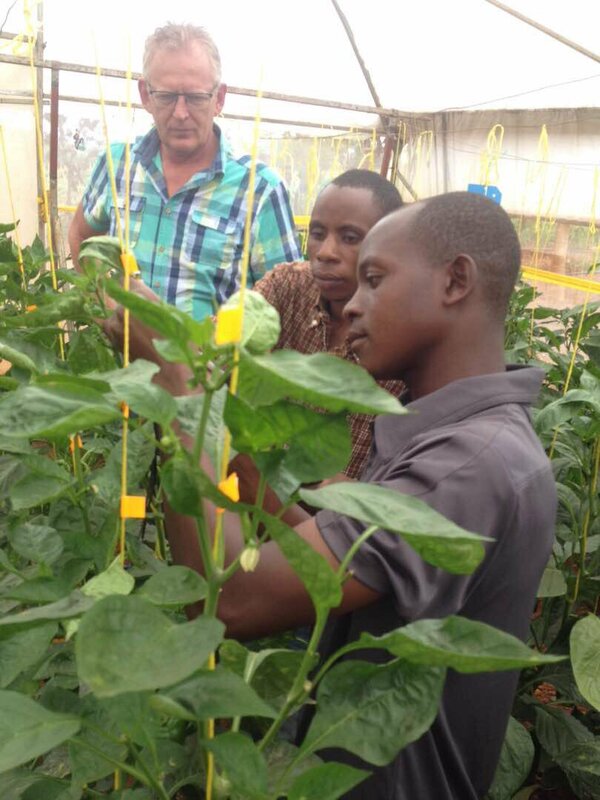 Delphy and Holland Greentech start a tailor made training program for Sunripe Farms to enhance satellite lead farmers to acquire knowledge and skills on sustainable cultivation and entrepreneurship in Rwanda. This Tailor Made Training program is funded by the Dutch organization Nuffic. Sunripe Farm produces high quality organic vegetables like French beans, sugar snaps, tomatoes and bell peppers for the local market as well as high end restaurants and hotels in Kigali. Sunripe Farms stand as a model farm for the surrounding communities and sees the possibilities for improving and up scaling farmers’ trainings to operationalize new technologies to broaden the commercialization of horticultural products. This training needs to equip the lead farmers with skills and knowledge on key relevant topics as sustainable agricultural practises, good agricultural practises, food safety, (post)harvest handling and enhancing market linkages as well as the skills transfer on gathered knowledge to the communities neighbouring the farm. Through this Tailor Made Training a large part of the needed skills and knowledge can be acquired. Delphy and Holland Greentech wish to improve the most pressing matters, limiting the lead farmers of Sunripe Farms in being able to bridge skills and knowledge gaps hence providing comprehensive transfer of knowledge to the surrounding communities. A total of 6 weeks of training are given in the period January till July 2019.